Lightning Bolt has Inconel 601 Bolts with World Wide Shipping and specializes in hard to find Inconel 601 fasteners. Fasteners, such as nuts, bolts, studs, and washers, are commonly made of this alloy due to Inconel® 601 is highly resistant to heat and corrosion. In deed, it can be stated that the exceptional characteristic of Inconel® alloy 601 is its resistance to high temperature oxidation. The alloy also has good resistance to aqueous corrosion, has high mechanical strength, and is readily formed, machined and welded. Common applications of the properties of Inconel® 601 can be found in such fields as thermal processing, chemical processing, pollution control, aerospace, and power generation. In addition, chemical processing applications for alloy 601 include process heaters, condenser tubes in sour water strippers and insulating cans in ammonia reformers, The alloy is also used for combustor components and catalyst grid supports in equipment for nitric acid production. In regards to petrochemical processing, the alloy is used for catalyst regenerators and air preheaters in the manufacture of high-density polyethylene. Throughout the power-generation industry, alloy 601 is used for super heater tube supports, grid barriers, and ash-handling systems. It is obvious that Inconel 601 fasteners has an immense number of applications due to its anti-corrosive characteristics. Therefore, when your project calls for Inconnel fasteners, contact Lightning Bolt. 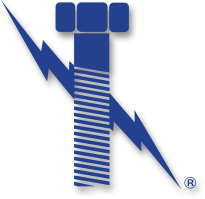 Lightning Bolt & Supply has Inconel 601 Bolts with World Wide Shipping and has been servicing North America’s industrial fastener needs for over 25 years. Since then, our focus on the production of high quality parts at competitive pricing has allowed us to become an industry leader. Our niche in exotic high nickel alloy fasteners include materials such as: hastelloy, Inconel, monel, A-286, 904L, Alloy-20, duplex stainless as well as many additional alloys.